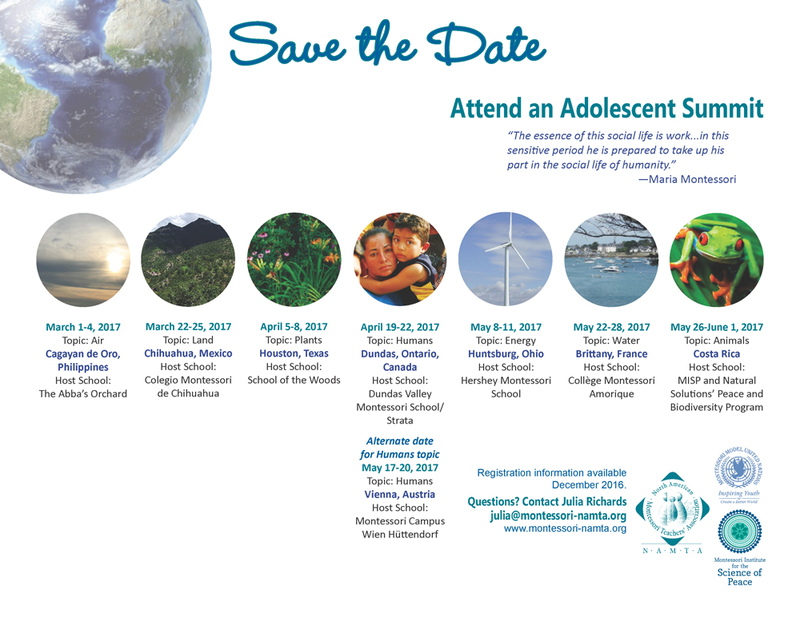 Join Montessori adolescents from around the world in tackling major global issues at one (or several) of the seven MISP Adolescent Summits leading up to the Montessori Congress in Prague, 2017. This year, our areas of focus are based on the interdependent elements: water, air, land, plants, animals, humans, and energy. All summit locations are home to a dynamic project related to their theme. Each summit will focus on one of these themes. Registration is now open! Click here for general and registration information.